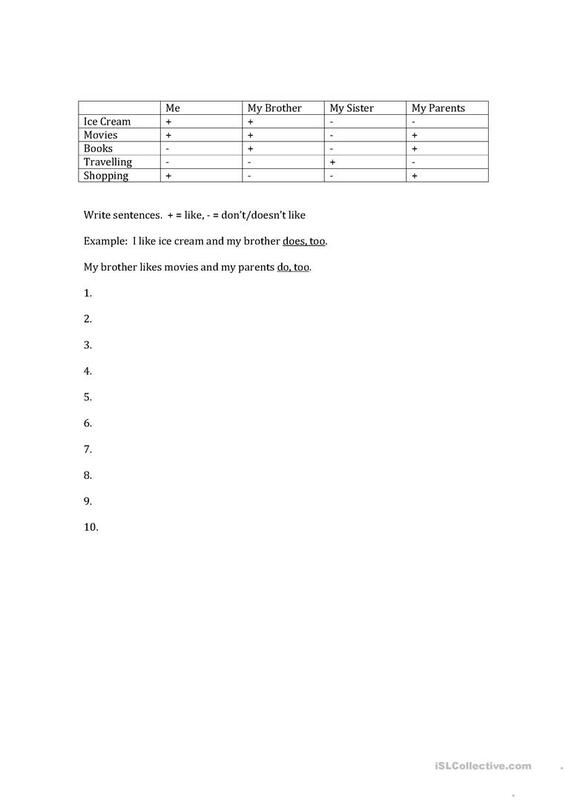 This is a very simple worksheet. There is a chart with people and topics. A positive (+) sign means that the person likes the topic; a negative (-) sign means that the person does not like it. Write as many sentences as you can. The present downloadable printable is intended for business/professional students, high school students, elementary school students and adults at Elementary (A1), Pre-intermediate (A2), Intermediate (B1), Advanced (C1) and Proficient (C2) level. It is great for revising Subject and verb agreement in English, and was designed for improving your groups' Reading and Writing skills.